The Peninsula Power finally dropped points this week, after a charged-up Logan Lightning delivered away from home. Ipswich was blown away by Eastern Suburbs after leading 2-1 and former-Socceroo defender Jon McKain winds back the clock for Rochedale. 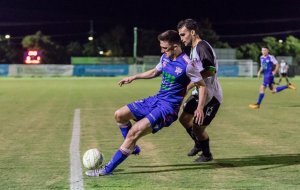 Logan Lightning travelled to AJ Kelly Park to face the Supermen of the Football Queensland Premier League to answer a question which could have been posted by Ben Affleck’s Batman: can Peninsula Power bleed? The Power was unmatched in the first 10 weeks, as they recorded a perfect 10 wins and established a 13-point lead atop the table. But the Lightning, on a four-win streak and refreshed after a bye, wanted to know if Peninsula had a weakness. Capalaba and Souths United had scored three goals against the Power in consecutive weeks, but nobody stopped Peninsula from taking maximum points, until Saturday. George Barbarouses scored his second goal of the season, his first since March 3, to give Logan the lead just one minute into the heavyweight clash. They controlled the scoreboard for a full 69 minutes when James Fairgrieve’s account-opening effort levelled the score. It stayed locked until full-time, as Logan recorded the first body blow against Peninsula’s promotion prospects. You can break down this thrashing to two 10-minute periods: the 20th to 30th minute, then the final 10 of the first half. When Scott Dykman scored his second goal in the space of 10 minutes, Wolves held a 3-0 lead by the end of the first half hour. Not to be outdone, Aleksa Krkeljas found the net in the 36th, 41st and 43rd minutes for a nine-minute hat-trick. Wolves dominated play against the win-less Wide Bay, who have now conceded 58 goals in nine games (6.4 per game), and they could have reached double figures but took the foot off the pedal in the second stanza. The big win arrests Wolves’ poor points differential and gives them some form to work off ahead of Ipswich Knights on Saturday. The Buccaneers will play their fifth-round FFA Cup game against Wide Bay Premier League club Doon Villa on Tuesday ahead of Saturday’s home game against Rochedale. Two second-half goals have ensured Rochedale remain in the FQPL’s top three. Ben Njie and Jonathan McKain scored goals in the 58th and 74th minutes to seal the 2-0 win against early high-fliers Holland Park. The Hawks have slid considerably from the side that challenged the top sides in the opening weeks. Five consecutive losses, and with only one win since February 10 has the Hawks 10th and well off the pace. Rovers meanwhile have won four of their past five games, and face Wide Bay Buccaneers on Saturday – a game Rochedale is expected to win by a considerable margin. It is incredible to think Ipswich Knights led 51 minutes into this contest. A brace to Hayden James cancelled out Youeil Shol’s 21st-minute effort and handed Ipswich a 2-1 lead, but the visitors’ Knightmare was about to begin. Jordan Farina’s 52nd-minute goal started an onslaught the likes of which FQPL hasn’t seen. 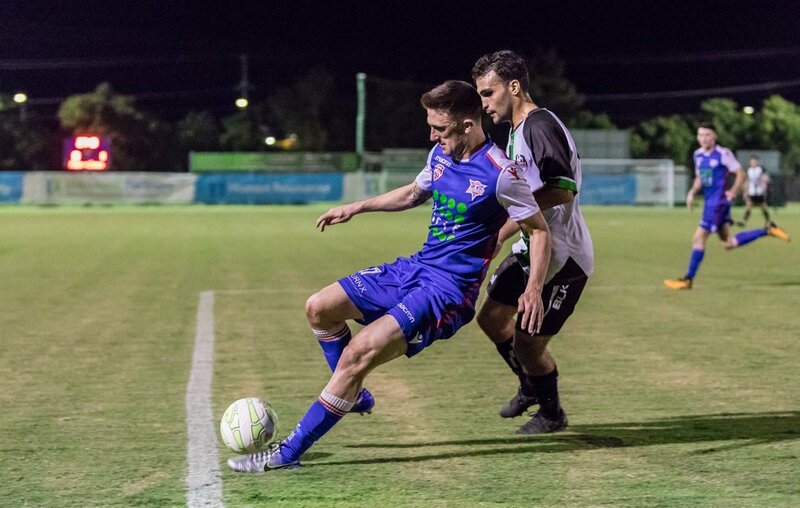 Easts scored seven goals in 40 minutes, with six different goal scorers, to romp home at Heath Park, and more importantly, enhance the point’s differential as they push for promotion. The Knights remain 11th after their tough night out and will face a Wolves outfit who just mauled Wide Bay. Jeremy Stewart could not have opened his season’s goal-scoring account at a better time for Sunshine Coast Wanderers. Stewart scored a brace as the Wanderers bounced back into the winner’s circle for the first time in three weeks. The Wanderers reclaimed some of the sparks that delivered them to second on the FQPL table this season, and while they didn’t hit every note it was clear they are working their way back to the form that once delivered five straight wins. They will need to be on their best when they travel to Cornubia Park to face Logan Lightning on Saturday. Capalaba, meanwhile, slumped to their third straight loss, and while they did find the net once they must rediscover their good form if they are to beat Mitchelton on Saturday. MITCHELTON v SOUTHS UNITED – play Tuesday 7:30 pm at Teralba Park after the game was rained out on Friday night. The Southside Eagles had the bye this week and will resume against Holland Park Hawks on Saturday night.